Richard Dawkins, the atheist writer, has caused a stir on Twitter claiming it is "immoral" to allow unborn babies with Down's syndrome to live. But what do the relatives of people with Down's syndrome think about the comments? The Oxford professor posted the message on Twitter in response to a user who wrote she would be faced with "a real ethical dilemma" if she became pregnant and learned that the baby would be born with Down's syndrome. "Abort it and try again," Dawkins tweeted in reply. "It would be immoral to bring it into the world if you have the choice." His comments have caused anger online and have been dismissed by charities, but he insists his views are "very civilised", tweeting: "These are fetuses, diagnosed before they have human feelings." For Caroline White, whose son Seb has Down's syndrome, the comments are offensive. "What saddens me most and what can't be denied is he backs up his argument by saying it's what the 'majority of women' do anyway," she says. "Yes, it is. It's what most women do. Women who, like him, like me, most probably grew up in a time of exclusion. A time where disabled people and people with Down's were labelled and then hidden away, never given the chance to integrate, reach their full potential or form meaningful relationships with their wider community." 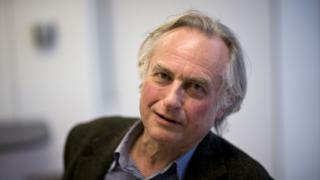 Dawkins defended his comments on the social media website saying: "I do not for one moment apologise for approaching moral philosophic questions in a logical way. There's a place for emotion & this isn't it." "I would never dream of saying to any person, 'you should have been aborted before you were born,'" he writes. But for many, especially the relatives of people with Down's syndrome, the comments have caused anger and upset. One mother, who has a child with the genetic condition wrote: "I would fight till my last breath for the life of my son. No dilemma." And another user tweeted: "What do we do when we're all physically and mentally perfect? Congratulate ourselves on eradicating the need to help each other?" For Anthony Ozimic, communications manager of the Society for the Protection of Unborn Children (SPUC) Dawkins's comments raise the argument about when human life begins. "All unborn children, whether disabled or not, are equal members of the human family, and therefore have an equal right to life with the rest of humanity," he says. "As a scientist, Dawkins should know better than to deny that human life begins at conception. As a former foetus, I am against abortion in all circumstances." But in a subsequent blog post outlining what he meant by his tweets, Dawkins writes that he supports those philosophers who say that an adult, a child and a baby should all be granted the rights of a person. "An early fetus, before it develops a nervous system, should not," he concludes. For Caroline White, who wants attitudes to change towards Down's syndrome she says she is relieved and happy that she didn't know Seb had the condition when he was born. "I cannot imagine my life without Seb," she says. "He breathes so much energy into our typical family. But I only know that now, now that I have him, now that I know him. I could never have known this when I was pregnant, having never met anybody with Down's and my mind full of outdated stereotypes."